With the explosion of ways in which to capture performance data on our athletes and ways to gain insight into the loads being placed on them, are we taking the appropriate measures to understand not only what is being placed on our athletes but how they’re responding to it. While recovery is always an important topic within sport, is the approach we’re taking with our athletes always the most appropriate and advantageous to enhance subsequent performance? 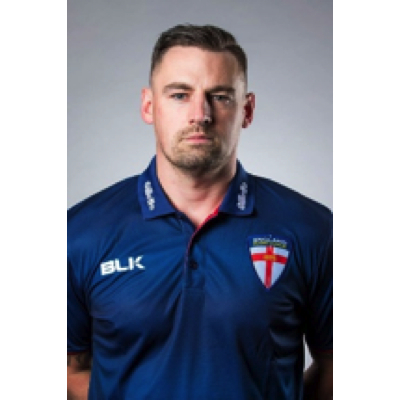 Richard is currently Head of Human Performance for the Rugby Football League (RFL). He is a specialist strength & conditioning coach with an extensive understanding of applied sports science in elite sporting environments. His career highlights include work with Rugby Unions’ George Ford, EIS with GB Water Polo, Super League Grand Final wins with Leeds Rhinos and International Rugby league with England. A current Tutor and Assessor for the UK Strength and Conditioning Association, Richard’s key philosophies involve holistic athlete and coach development whist applying scientifically underpinned trained methodology. Dr David Hughes is Chief Medical Officer at the AIS in Canberra. Dr Hughes has worked as a sports physician in a range of high performance competitions including Super Rugby, National Rugby League, English Premier League Football, English Premiership Rugby and International Women's Basketball. He is currently involved in research relating to the use of iron supplements in sport, the genetics of bone and tendon injury and concussion. Dr Hughes is also Medical Director for the Australian Olympic Team for Rio 2016. Can Sport Ever Escape From Doping?